Bucco-dental health becomes more and more important to us. This demand for keeping the mouth healthy deserves a response through specialized professionals. 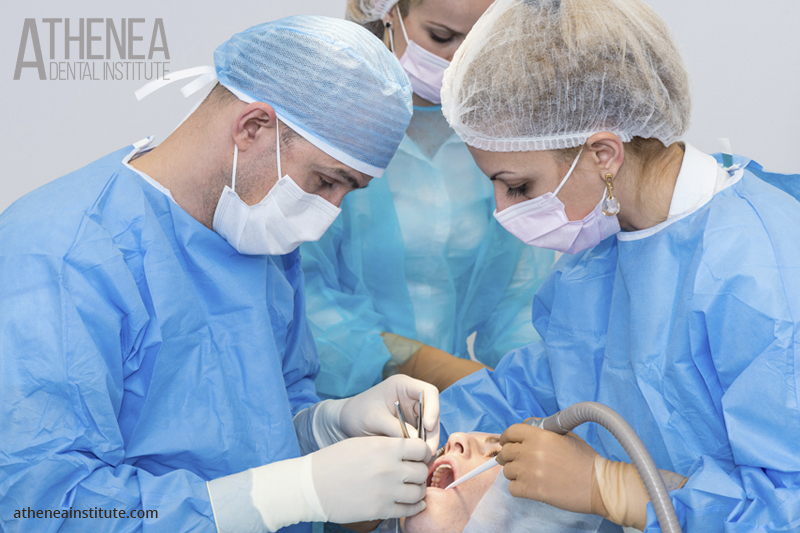 Nowadays, Dentistry is one of the most prosperous professions requiring the best specialization. Each time is more necessary to have a Master’s Degree in Orthodontics. For lot of users, the Orthodontics is a key to achieving healthy, durable and beautiful teeth. ¿Which criteria to follow when choosing your Master’s Orthodontics Program? It is very important to know how to choose the Master’s Program which will adapt the best to your needs. The study plan, the place in which the classes are held, the teaching staff, are the most decisive criteria, because they help in selecting the Master’s Program which will change the life of the future specialist. Which criteria should be followed when choosing your Master’s Orthodontics Program? The essential aspects of a Master’s Orthodontics Program, among others, are carrying out the diagnosis, being a part of a medical team as well as of a specialty service. Clear and well-defined objectives are extremely important in order to make the student feel safe and to guarantee them the success. The direct relation between the theory and practice is essential.The attendance of national and international congresses, online classes or lectures given by experts in the field should be a part of a good Master’s Program in Orthodontics. 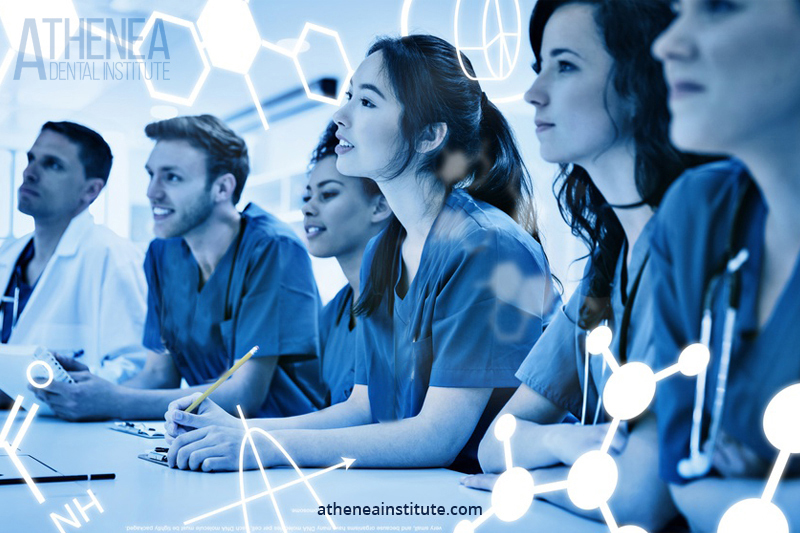 A prestigious Master’s Program should contain independent assignments carried out by students, courses given by internationally well-known professionals, or clinical practice with patients. 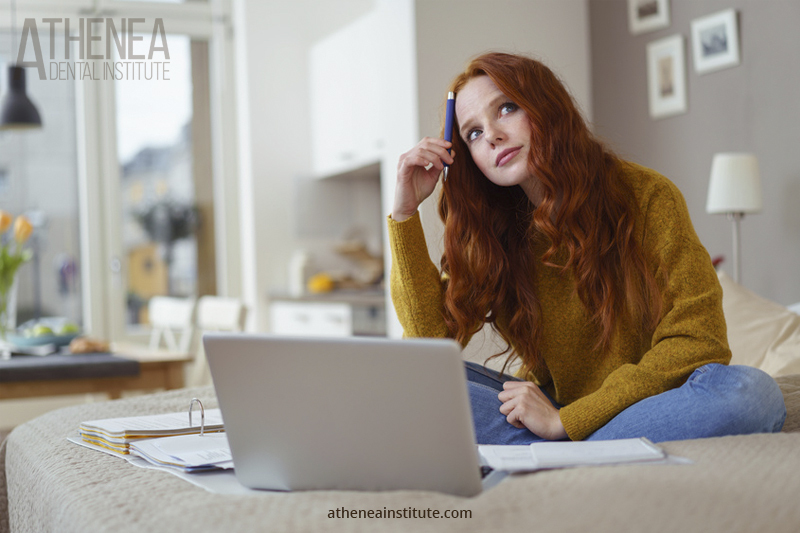 The good study plan should contain the subjects which will help the student to learn how to carry out a customized treatment plan. The study plan should allow the student to recognize the physiology of the patient and its possible pathologies. Malocclusions, skeletal anchorage and lingual orthodontics, are only some of many other subjects which will teach the student how to carry out the treatment plan perfectly adapted to the needs of each patient. Furthermore, it should contain the Master’s Thesis, in which will the student’s methodological abilities and obtained knowledge will be assessed. The teaching staff should consist of highly qualified personnel, with demonstrable experience which can be seen in hours of work and lecturing. It is always good that academic staff come from different parts of the world, because in this way, the student will be able to compare different methods of treating the same maloclussion. You should read carefully the requirements to access to a Master Program in Orthodontics. Apart from the filling out the required forms, it is recommended to add a motivation letter, in which you should explain your reasons for studying this Master’s Degree. It is also recommendable to take out a professional liability insurance. A Course Director will carry out a personal interview in order to get familiar with the student and their intentions. Therefore, it is hard to find “cons” to the need and motivation to improve the knowledge you already have. For this reason, there are more “pros” than “cons” when analyzing if a Master’s Degree in Orthodontics has more benefits than setbacks for a professional. – A well managed specialization always ends up with professional success and generates safe future of the specialist. – Orthodontics is one of the most demanded specialties by patients, together with the Dental Implantology. – The current model of beauty generates greater demand, which means work, work, and more work. – New technologies applied in Orthodontics achieve professional levels of absolute precision as far as results are concerned. – New technologies used in Orthodontics achieve a perfect result of teeth correction. – Currently, prestigious Master’s Programs in Órthodontics are not numerous, and they can be found only in big cities. – Sometimes, a student must travel. Trips from one city to the other in order to be able to study a master’s degree means also some extra expenses. – Because of high requirements of specialization as far as the subjects, academic staff and objectives are concerned, the price of a Master’s Degree in Orthodontics is usually high. Los cursos que deben integrar un máster en ortodoncia pasan por programas modulares de ortodoncia clínica avanzada. Se valora mucho la excelencia en ortodoncia impartida por algún experto reconocido a nivel internacional como el Dr. Echarri. Treatments of malocclusions using fixed appliances, orthognathic surgery courses, or the concept and the philosophy of CSW technique which adapts the protocol of an orthodontic treatment to the characteristics of each case and each patient to achieve the uniform teeth alignment, as well as the use of self-ligating brackets, are only some of many indispensable courses. FIRST: It is the introduction to basic concepts. A diagnosis of a patient followed by a completely personalized treatment planning are taught. In the first part, the orthodontic and orthopedic management of a patient is also explained. SECOND: It is focused on clinical practice and the treatment of different cases, starting from the most common and simple, to more complex in general, and finishing with the description of each case in particular. The professors evaluate the methodology of each student, and their corresponding case. This is a famous quote of an American novelist Joseph Heller. It reflects very well the perception of a dentist the society have had over centuries. Nevertheless, the new tendencies and the current lifestyle make new generations to see their specialist as a person who cares about their bucco-dental health. It is a specialist who restores dental health and brings back the lost smile. The modern society needs to maintain their health in all levels. In fact, the studies have shown that dental health is related directly to general health. It is important to know that many diseases of different parts of our organism are directly related to the bucco-dental state of a person. For this and many more reasons, the interest in having an annual checking appointment with the dentist is growing. The response to this demand which each year is translated to thousands of persons, is in the high-quality specialization. A dentist can take advantage of many professional opportunities. – Newly graduated dentists can start their career as free lancers. They start up a dental office alone or in partnership with other persons. – Other professionals opt to start working in a well known and consolidated company which can provide them with experience and a place to practice. – Some of them start working in private health centers or in big health societies. – Dentistry graduates can also dedicate their time to teaching or research in different specialized Schools and Faculties of Dentistry of each country. 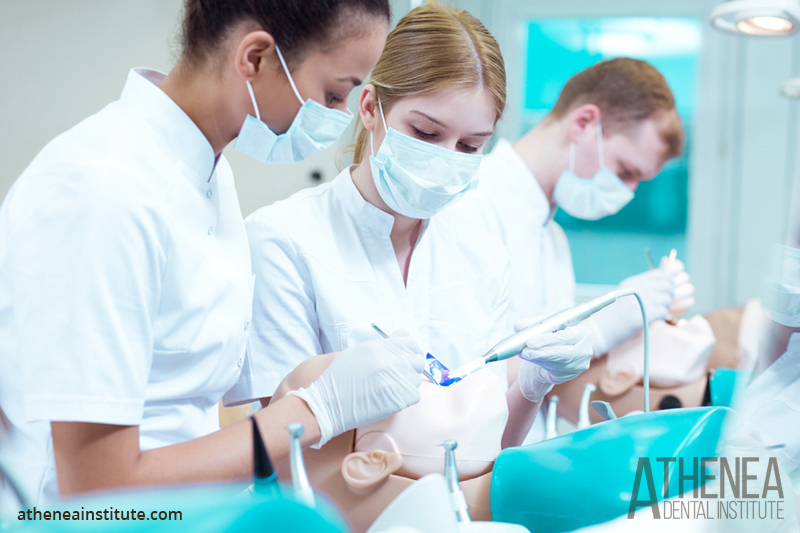 Academic specializations are various and include Implantology, Periodontics, Endodontics, Implant-supported Prosthetic Rehabilitation and Orthodontics, among others. Salaries depend on the experience, professionality of a specialist and competition. One thing is sure: dentists earn a lot. The reason for this is the great demand for their services and a very well focused specialization. Incomes oscillate between 18.000 euros a year for newly graduated without experience up to 30.000 euros and more for skilled veterans in specialty. The income grows together with the experience. The new dental clinic chains also offer the possibility to practice for a beginner. They will work always under the supervision of an expert and with all the guarantees of a well-done job. In such cases, the annual income is lower than afore mentioned, and it is usually around 15.000 euros. The highest income can be found in the specialty of Orthodontics, in which one can reach the annual income of 43.000 euros. This phenomenon has to do with the current tendency to take a lot care of one’s bucco-dental health. Apart from the other aspects, a perfect teeth alignment of both dental arches is required, as well as the correction of possible malocclusions or spacings. Visiting a dentist is not a problem anymore, but a necessity. New generations are not afraid of a dentist any more. In short, the science is advancing dramatically, and new generations with it, too. Fortunately, it happens in the age of healing and the absence of pain. New technologies allow that what was before an unpleasant visit to a dentist, now is an excitement when leaving the specialist office with a healthy and beautiful mouth. Dental specializations, such as Orthodontics, have a key to rehabilitation of their patients’ mouth, and make their smile worth more than thousand words.